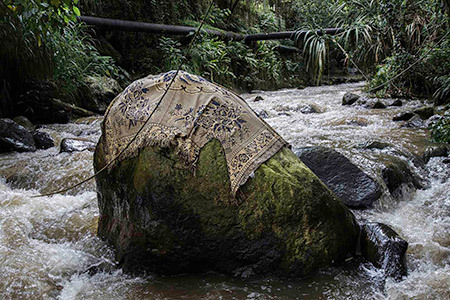 The award in the Professional modality of the competition "Topographies of the Inside and of the Outside" was granted to Antioquean artist Catalina Toro for her photographic work Breve Ensayo sobre el Alto y Bajo Relieve. 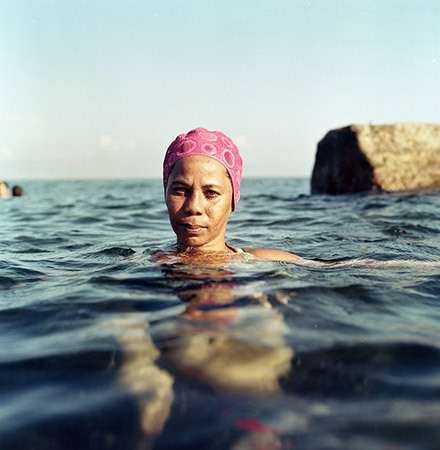 On the Horizon: Contemporary Cuban Art from the Jorge M. Pérez Collection, an exhibition of over 170 works of art, spanning painting, drawing, photography, mixed-media and sculpture. 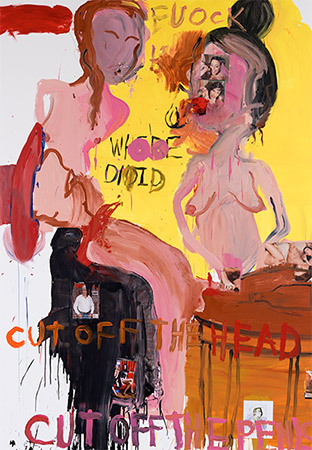 Regarded as one of the most influential US artists in recent years, Paul McCarthy (1945, Salt Lake City, Utah) exhibits his paintings and drawings at the Fundación Gaspar until July 16, 2017. Presidents François Hollande (France) and Juan Manuel Santos (Colombia) agreed on choosing 2017 as the year for celebrating the binational program known as "The Colombia-France Year." 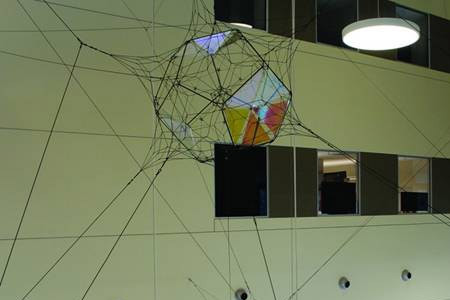 The University of South Florida Public Art Program announced the installation of a new permanent site-specific sculpture by artist Tomás Saraceno in the Interdisciplinary Sciences Building designed by Yann Weymouth (design architect of The Dali) on the USF Tampa campus. 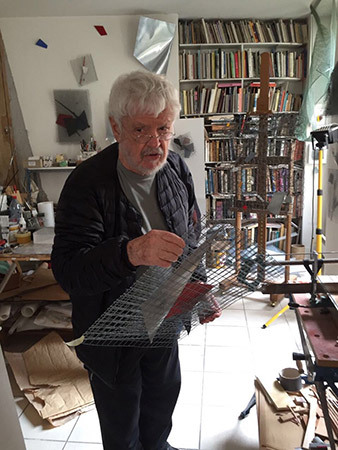 We are sad to inform that Brazilian artist Arthur Luiz Piza has died at the age of 89. 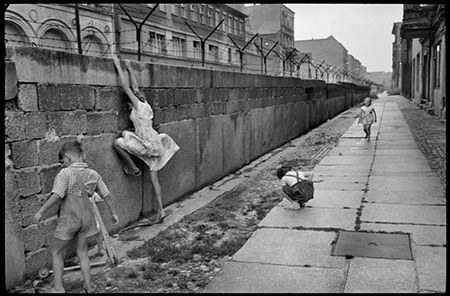 Galeria Raquel Arnaud, the gallery that represented the artist since 1973, confirmed Piza's passing in social networks. 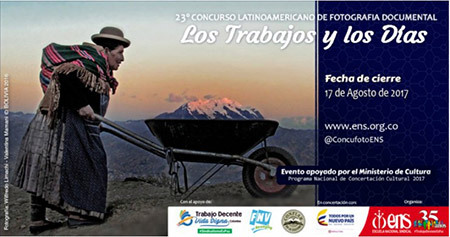 23rd Latin American Documentary Photography Contest "Works and Days"
The Colombian Escuela Nacional Sindical announces its call for the 23rd edition of the 23rd Latin American Documentary Photography Contest "Works and Days". The video produced by The Hollywood Reporter about US artist Paul McCarthy offers viewers a window into the artist's new study near downtown LA. There, McCarthy describes the characteristics of his project titled "Stagecoach," developed through approximations to iconic Hollywood figures, and where he addresses the manner in which Hollywood has represented the past and recent history of the United States and its people. The production process of these works and the collaborative nature of their approaches offer an intimate look at McCarthy's studio and his creative process. Un libro de Abigail McEwen que ofrece un acercamiento al arte cubano de los años 1950, tomando como referencia temas puntuales del momento en la Isla. Published in celebration of the 100 years of the Rozas-Botrán Foundation and its 30 years supporting the arts in the region, this book features works by 152 artists and texts by Thelma Castillo, Guillermo Monsanto, José Mario Maza, and Rafael Alas, among other.